Dame Deirdre Hutton was appointed to the Board as a Non-Executive Board Member in April 2009 and took up the position of Chair of the UK Civil Aviation Authority (CAA) in August 2009. She is currently a Non-Executive Director of Thames Water Utilities Ltd, a non executive Director of Castle Trust, serves as a Non-Executive Member of the HM Treasury Board and is Pro-Chancellor of Cranfield University. 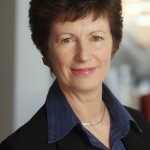 She is Honorary Vice-President of the Trading Standards Institute and of the Institute of Food Science and Technology. Previously, she was Chair of the Food Standards Agency, Vice-Chair of the European Food Safety Authority Management Board, Deputy Chair of the Financial Services Authority, Chair of the National Consumer Council, Chair of the Scottish Consumer Council, Vice-Chair of the Scottish Environment Protection Agency and a member of the Better Regulation Task Force. She has held a number of positions on a variety of bodies dealing with food, environment and regulatory issues.